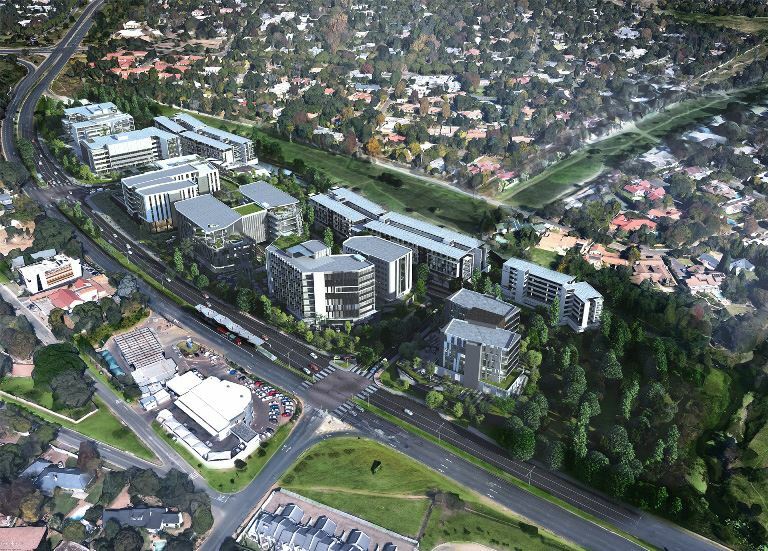 Phase 1 of the Sandton Gate precinct, to be completed in Q4 2019, will include 15 500m² commercial space, 13 000m² P-grade office space and a 2 500m² gym positioned on the piazza level of the building and 140 modern open plan apartments. 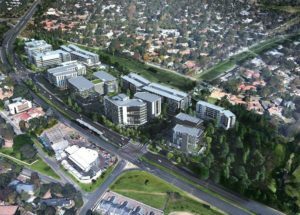 Abland and Tiber, joint developers on the Sandton Gate precinct, have announced that they have broken ground on Phase 1 of the development with the bulk earthworks. Phase 1 will include 15 500 m² commercial space; 13 000m² P-grade office space and a 2 500m² gym positioned on the piazza level of the building. The first phase will also include the development of 140 modern open plan apartments. These will range from two and three bedroom apartments as well as four bedroom penthouses. Residential will be completed in parallel to the commercial development. “From a commercial aspect we are already attracting high-end commercial users. The precinct is very flexible and can cater to the tenants’ requirements when it comes to space. We can serve almost anyone in the industry that wants to be in a well-managed environment,” says Grant Silverman, Marketing and Leasing Director, Abland. Due to the magnitude of the development and to ensure access into the precinct is seamless from all directions, new intersections on William Nicol (between Mattie and Sandton Drive) will be introduced to deal with the ingress and egress traffic at the precinct. “People like being within the Sandton area because it’s the richest square mile in Africa but you don’t necessarily want to be in the middle of the congestion. We’re developing a pedestrian friendly, live-work-play precinct right on its doorstep which will integrate commercial, retail and residential making it unparalleled to other mixed-use precincts. We are creating a safe and secure environment with seamless connectivity for everyone who enters the Sandton Gate precinct – whether you’re a visitor or resident, and will ensure that all the amenities you could possibly need are within a walking distance,” adds Silverman. The entire precinct will be Green Star SA rated and is being used as a pilot in the development of the precinct rating tool by the Green Building Council of South Africa. South Africans love outdoor adventures and the Braamfontein Spruit, which is a very popular mountain biking route, runs straight through the precinct. The entire stretch of river adjoining the site will be rehabilitated and upgraded as part of the project. This will encourage cyclists and local residents to make use of this open space and the other amenities provided like the park area as a meeting point before their runs, bike ride and walking their dogs.